At the Frankfurt Auto Show, Lamborghini unveiled yet another supercar – the limited edition Gallardo LP 570-4 Super Trofeo Stradale. With only 150 units produced, this is supposedly the most extreme Gallardo to ever be produced. Powered by a V10 engine with 570 horsepower, the car goes from 0-100 km/h in just 3.4 seconds. 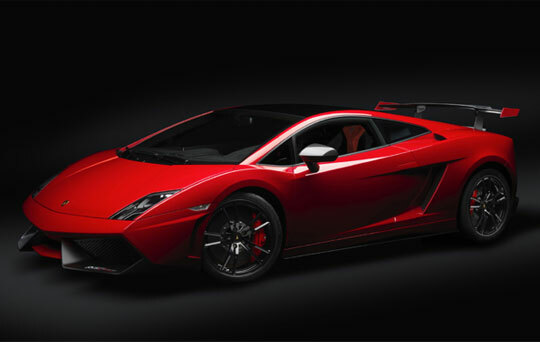 Lamborghini went as far as creating a special ‘Rosso Mars’ red paint for the car, combining it with a matte black finish on the engine. This entry was posted on September 15, 2011 by cosmonavigator. It was filed under Transportation and was tagged with 2011, alternative, cosmo, cosmo navigator cosmonavigator, cosmonavigator, current events, dailies, Design, funky, funny, gallery, great, Lamborghini Gallardo LP 570-4 Super Trofeo Stradale, life, Life Style, media, news, nice, opinion, opinion photography, photo, photography, september 15 2011, silence, thoughts, watch, wisdom.